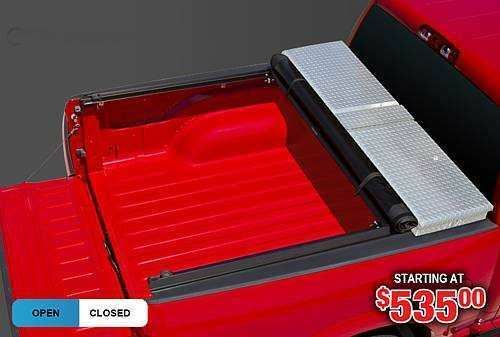 ACCESS® Toolbox Tonneau Cover - A cover that helps you get the job done faster. Adding an ACCESS® Toolbox Edition truck bed cover to your pickup bed is a great way to improve gas mileage. With a truck bed cover securely in place, your truck will encounter less aerodynamic drag, saving you up to 10% in fuel costs. It’s available for late model, full-size long and short box domestic trucks. What sets the ACCESS® Roll-Up Covers apart from other tonneau covers is its quality craftsmanship, easy to installation and simple operation.